BERNIE Craven had concerns for the environment "25 years ago". 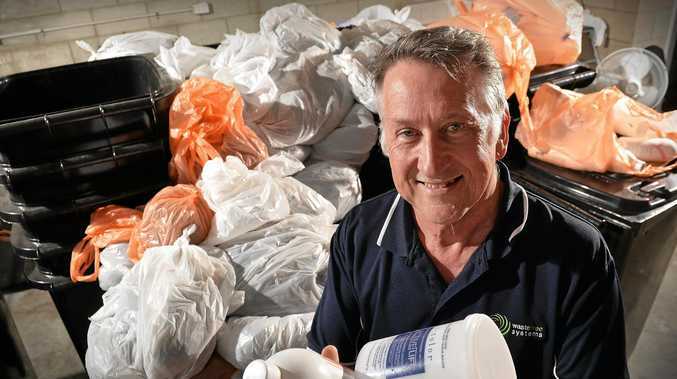 and now he's established a way for Gympie businesses to create their own waste free systems. Mr Craven's business is called just that, Waste Free Systems, and the Sunshine Coast-based hairdresser already has three local salons on board with his environmentally conscious initiative. A Beautiful You, Hair Techniques and Lauren Alexandra Artistry have joined with Mr Craven to separate their waste and have their plastic materials re-purposed for a range of products in a bid to reduce landfill. Mr Craven, who travels to the region from his WFS warehouse in Kunda Park, said his overall goal was made up of environmental and economical aims. "We want to create a community of environmentally-aware businesses," Mr Craven said. "There isn't a business in Gympie or anywhere else that shouldn't be doing this. "We provide bin systems and separate waste in businesses, and then we provide the pick-up services, sort through what can be recycled and what can't, and re-purpose waste into resources and products while reducing landfill. "We want to support businesses, and local businesses here in Gympie, by helping them lessen their carbon footprint, lessen their impact on the environment and do something great for their community." Mr Craven said he was looking for more businesses in Gympie to collaborate with on the initiative following his partnership with the three local salons. He said he was "looking for ways to branch out" in the community. 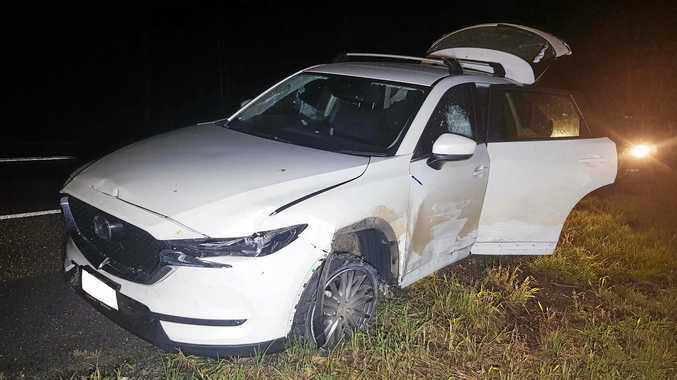 "For us to travel up to Gympie, we needed a viable scenario and that's what we've been given, but we'd like a lot more businesses to be involved," he said. "Waste re-purposing is not a scary concept, it benefits the environment and can also help businesses save money through the circular economy. "Through experience I know the costs of waste management in small businesses. I'm happy to talk to any business about how this works and how they can be involved. A lot of businesses aren't interested ... but everyone should be interested." Mr Craven said a significant aspect of his overall ambition came from a use he's found for plastics taken from salons as a member of e-NABLE, a worldwide network of people using 3D printers to produce prosthetic limbs. He said he was looking for potential recipients for the prosthetics in the Gympie region. "We create the prosthetics from re-processing waste plastics into 3D filament, and making them from that filament. "We're looking for anyone here in Gympie who may need a hand or part of a hand, I'd love to hear from them. We want to do this because we care and want to give back to the community. "Gympie is a great community, and a great business community. We want to make a difference on a localised level."